MAGNIFIQUE MAZDA 3 GS 2010 EN EXCELLENTE CONDITION TOUT ÉQUIPÉ UN SEUL PROPRIÉTAIRE A QUI LA CHANCE !!!! Financing from 1.99% for a Mazda-certified used car only. Financing 1-2-3th chance at available credit. Best rates in the industry.Come see why we are your automotive reference in East Montreal.Take a test drive today on your next vehicle purchased from Mazda Pointe-aux-Trembles. 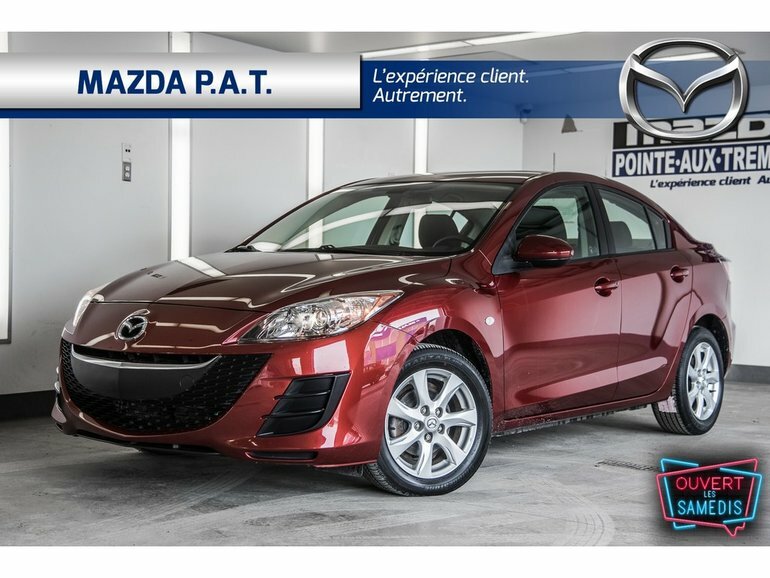 Ce véhicule, Mazda Mazda3 GS ** SEULEMENT 52 220 KM ** 2010 vous intéresse?